Maico's name stands for Multi-Artificial Intelligence Computer because she is 100% android, not a robot as the director always refers to her as. 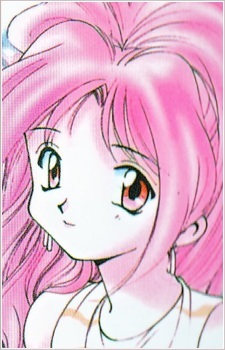 One would think that an android used for a radio show would look boxy or metallic, but Maico is certainly not robotic looking, in fact, she looks like a normal, pink-haired girl. This causes a bit of tension with some of the male characters in the show and oddly enough with Maico as well. She is a very special android who learns from her experiences and reacts with as much emotion as any other human girl.